Tammy Billings has joined as vice president of integrated marketing for its core TV business, where it has 14 shows on cable. Billings has been an integrated marketing executive for a Los Angeles company, sbe Restaurant Group, which operates hotels and restaurants. She previously worked with Anschutz Entertainment on digital strategy for entertainment hub L.A. Live. Beers’ company said Billings signed the Coleman Co. to play a role in the coming Nat Geo show “Are You Tougher Than A Boy Scout?” on her second day on the job. Deal structures could include paid integrations, barter deals and cross promotions or a mix. Beers, whose company is owned by FremantleMedia, recently announced Original Productions Entertainment Networks, aimed at taking programming directly to consumers through digital platforms. 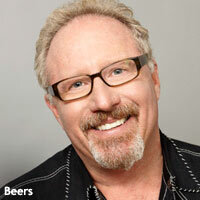 Thom Beers productions have resonated with males and appear on at least five networks: A&E, Discovery, History, Nat Geo and truTV. Pizza Hut’s arrangement included the featured oil workers eating its fare on a break. Vignettes were also produced for all three sponsors to run in breaks adjacent to their spots.